Creosote is the accordion duo of Jamie Maschler and Gabriel Hall-Rodrigues. Together they play a dynamic array of original and world music. 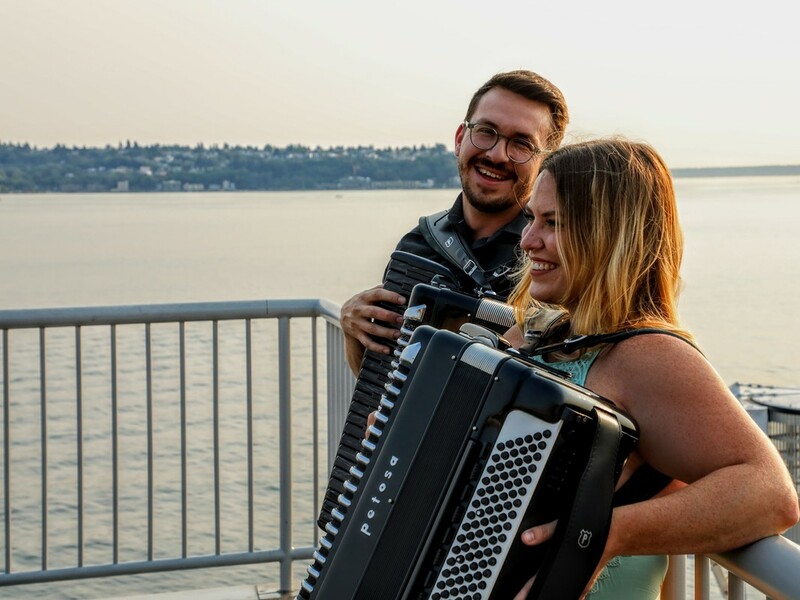 Maschler and Rodrigues are both seasoned musicians and have individually and collectively mastered their craft of performing, composing and arranging on the accordion. Expect to hear elegant and clever arrangements of new and old Brazilian and world music. The instrumental duo recently released their first self-titled album.